Nandipha Mntambo was born in Mbabane, Swaziland. 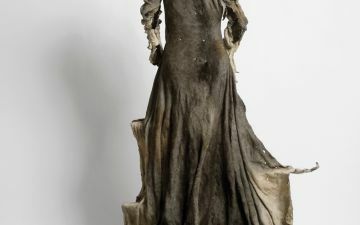 In 2007, she completed a Master’s in Fine Art from the Michaelis School of Fine Art at the University of Cape Town. Mntambo currently lives in Johannesburg. Her work addresses ongoing debates around traditional gender roles, body politics, and identity. 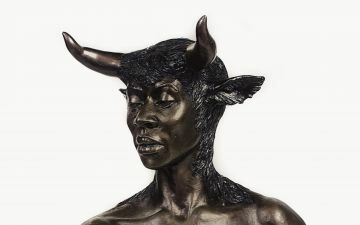 She works in photography, sculpture, video, and mixed media to explore the liminal boundaries between human and animal, femininity and masculinity, attraction and repulsion, life and death. 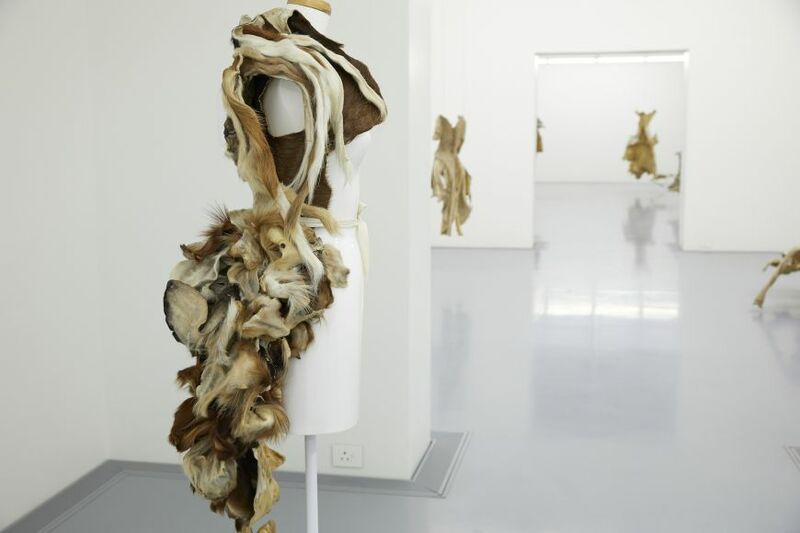 Mntambo is best known for her figurative cowhide sculptures which allude to the symbiotic relationship between humans and nature. 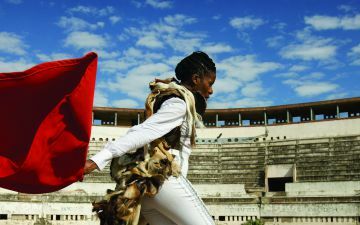 Notable solo exhibitions include Transience at Stevenson (Johannesburg: 2014); Nandipha Mntambo at Andréhn-Schiptjenko (Stockholm, Sweden: 2013) and Faena, a travelling exhibition showcased at the Grahamstown National Arts Festival, the Nelson Mandela Metropolitan Art Museum in Port Elizabeth, and at Iziko South African National Gallery in Cape Town (2011). 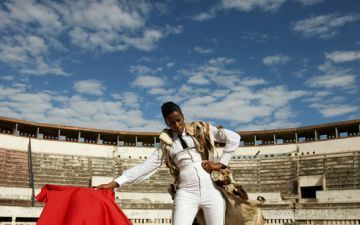 Mntambo’s participation in group shows include Regarding Africa: Contemporary Art and Afro-Futurism at Tel Aviv Museum of Art (2017); the 12th Edition of Dak’Art, the African Art Biennale in (Dakar, Senegal: 2016); Disguise: Masks and Global African Art at Seattle Art Museum (Seattle, USA: 2015); What Remains is Tomorrow for the South African Pavilion (56th Venice Biennale: 2015); The Divine Comedy: Heaven, Purgatory and Hell Revisited by Contemporary African Artists (Museum für Moderne Kunst (MMK), Frankfurt/Main, Germany: 2014), Nandipha Mntambo at the FNB Joburg Art Fair (Johannesburg: 2013) and the 3rd Moscow International Biennale for Young Art (Moscow, Russia: 2012). 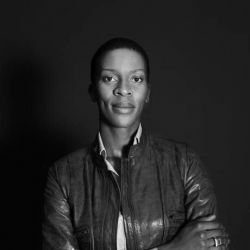 She has been shortlisted for the AIMIA | AGO Photography Prize in Canada (2014), was a Civitella Ranieri Fellow (2013), received the Standard Bank Young Artist Award for Visual Art (2011) and the Wits/BHP Billiton Fellowship (2010).